Brutal/grinders PSYCHOTIC DESPAIR have found an agreement with Nadir Promotion in order to promote their new album "Words for Empty Spaces". The new work from the Czech Republic band will see the light on digital and standard market on the incoming 6th of March. The upcoming full-length is described as a mix of grindcore in the Napalm Death/Terrorizer vein, with death metal influences (Dying fetus/ misery Index above all). Swedish death metal legends Hypocrisy have uploaded a video of the title-track from their upcoming masterpiece ‘End Of Disclosure’. Check out a ‘making of’ an official video of ‘Enduring The Eternal Molestation Of Flame’ taken from the bands’ latest release ‘At The Gate Of Sethu’. Watch as the group provides a behind-the-scenes impression of last year’s intense video shoot in Greece. The clip was directed by Jon Simvonis (Septic Flesh, Devil’s Train). Six Feet Under have posted a lyric video from their 10th album for the song ‘Zombie Blood Curse’, the first track to be loosed from ‘Unborn’. Swedish melodic metal band Soilwork’s new upcoming, first dual-disc album ‘The Living Infinite’ scheduled for release on February 27 in Asia, in Europe on March 1, and in North America on March 5 via license to Marquee Records. And now ‘Long Live The Misanthrope’, a new track from ‘The Living Infinite’, is available for streaming on YouTube. We Are Legion are currently tracking their new album ‘Exit Humanity’ at 14:59 Studios with producer Will Maravelas (Shadow Society, Plague Of Stars). Mixing and mastering the album will be from the famed engineer J-F Dagenais (Kataklysm, Ex-Deo, Despised Icon). The band has also commissioned renowned Minnesota-based tattoo artist Dan Dittmer to design exclusive artwork, merchandise, and promotional materials for ‘Exit Humanity’. The band is going to return to Hertz Studio in April to finish the recordings and focus on post-production. Lyrics for the new album will be written by Marcin Urbas (ex-Sceptic) who will also record vocal parts to one of the songs. “The final outcome will be strong and clear. We’ve changed completely our sound of bass and guitars. Rhythm section sounds perfectly already at this stage. We’re having some surprises here and there – music sounds very fresh and vivid, has lots of melodies, blastbeats can be hardly spotted – seems like we’ve slowed down a bit. Almost everything was composed live. For many people is may be surprising album, but that’s exactly what we had expected. The compositions are great and we have no doubts that this will be the most mature effort of Naumachia. We’ve worked hard and long to achieve the sound we finally have”. – conclude Naumachia musicians. Latest Naumachia album is “Black Sun Rising” released in 2009 via Witching Hour Productions. Swedish black metal outfit PEST has inked a record deal with Agonia Records. Band's fourth full-length album, entitled "The Crowning Horror", is tentatively slated for June 2013 release. The album will be preceded by an EP featuring two new tracks, which will be released this April. It will be available on a 7" vinyl and titled "Black Oath c/w Morbid Revelations". More news will follow shortly. The band commented: "After years of silence a new wave of black death will finally strike the world. The plague is upon us. Bring the darkness!" "Stop The Chaos Remixes" is an exclusive release for ANTIGAMA's 13th anniversary and undisputedly their most experimental album. 8 song remixed by the band's befriended fans, artists and producers from Poland: LXMP - PIOTR ZABRODZKI & MACIO MORETTI (ex-Antigama, Starzy Singers, Mitch&Mitch), PRISM - ROBERT GUŁA (Schismopathic), TOMASZ MADRY & KRZYSZTOF LENARD, FILIP SZYSZKOWSKI (21 Grams), BOGDAN KONDRACKI (Kobong, Neuma, Sweet Noise, Nyia, Maryla Rodowicz, Justyna Steczkowska, Edyta Gorniak), ANNA ZARADNY and ANTIGAMA's very own LUKASZ MYSZKOWSKI. Recently released on Selfmadegod Records, the CD comes in a deluxe digipak limited to 500 copies only, this is mandatory release for every fan ANTIGAMA and experimental music. Italian band Death-Core/Djent OVER DEAD IN OVER posted a new music video for the song "DEAD SALVATION". The track appears on the band's debut album "RESOLUTION FORMULA". 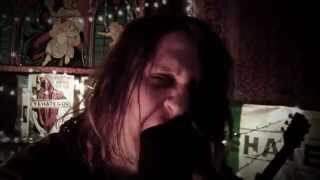 "Teeth Swallower", the new video from Australian metallers KUNVUK, can be seen below. The track comes off the band's second album, "Consume Rapture", which was released in June 2012. The official lyric video for the song "Through Treacherous Flames" from German extreme metallers NEAERA can be seen below. The track comes off the band's sixth full-length album, "Ours Is The Storm", which will be releasd on March 1 in Germany, Austria and Switzerland, March 4 in the rest of Europe, and March 5 in North America via Metal Blade Records. The CD was recorded at Alexander Dietz's Chemical Burn studio in Bed Kosen, Germany. French black metallers AOSOTH have premiered a track from their new full-length album entitled "IV:Arrow In Heart", coming out April 16th worldwide on Agonia Records. The track "An Arrow In Heart" can be streamed below. The new album is a natural improvement over bands previews release, entitled "III", which already was "a major step forward for Aosoth in creating their own distinct sound" (Sputnik Music). Commented by the band itself, "IV:Arrow In Heart" holds yet a bigger spiritual meaning: "We've spent such a huge amount of time on defining a darker identity, yet open to a wider range of influences. Those tracks still haunt us, as delivering them was a painful and excruciating experience, and left some of us even physically wounded... Which gives that album even more of a spiritual value, as it involved a form of sacrifice." The band also added: "This fourth full-length release is with out a doubt a great step forward for us in term of music writing, and sound." At the time the new album will hit the shops, there will be available a re-release of AOSOTH's "Ashes of Angels" and "III" albums for the first time on black vinyl. The album will consist of 6 original tracks and 56 minutes of music. CA tech death metal machine Deeds of Flesh official worldwide street date for their upcoming 9th studio release "Portals to Canaan" will be June 25th on Unique Leader Records/Hammerheart Records. The album will be released digitally, CD, LP gatefold(LP includes entirely different cover art as the CD) and limited edition garments and bundle packages. The band continues with their conceptual focus as the previous highly successful slab of over the top musicianship "Of What's to Come" with a top notch finished production from Zach Ohren of Castle Ultimate studios. The artwork for "Portals to Canaan" includes 2 highly detailed conceptual pieces from famed artist Raymond Swanland. 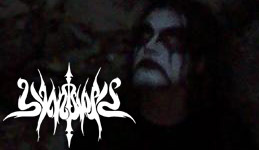 To close the release the band recorded a cover track of Gorguts "Orphans of Sickness". An advanced track, "Rise Of The Virvum Juggernaut" can be heard below.